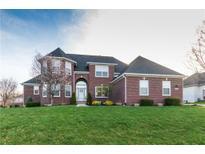 To learn more about any of these homes or to receive custom notifications when a new property is listed for sale in Oak Manor, give us a call at 317-308-8198.
large 3 car garage/service door, irrigation, Daylight fills this beautiful home! MLS#21635953. Principle Real Estate Group. Plus, this community offers access to the Midland Trace Trail. MLS#21610188. Weekley Homes Realty Company. Photos shown may be artist rendering, model home or of same model MLS#21610324. CENTURY 21 Scheetz. Photos shown may be artist rendering, model home, or of same model MLS#21610318. CENTURY 21 Scheetz.